“This is what I call a perfect sunrise right here,” Steve Booker said. 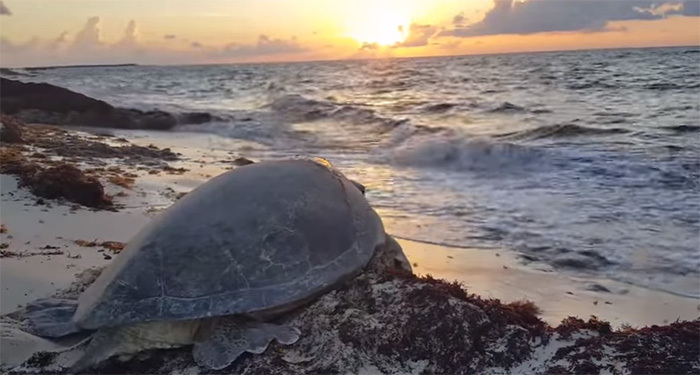 Booker set out to watch the sunrise when he came across the stranded sea turtle at the beach. The video below shows Booker flip the turtle upright and follow her as she heads back to the ocean.